Trinity’s newest outreach project is here! We had our grand opening of the Little Book House during the Warsaw Valley Fest and it was a great time had by all! Now that our Little Book House is built, painted, mounted, and feted, we keep it full of new and gently used children’s books. 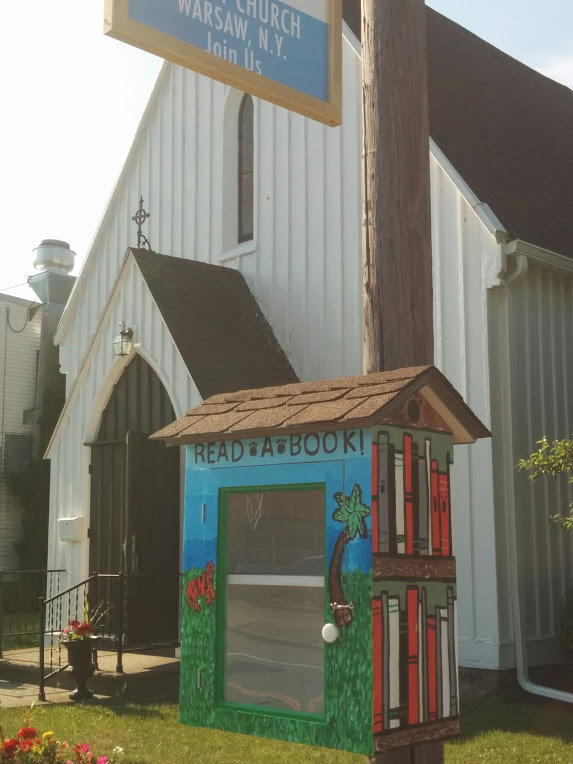 If you’d like to help you can put your books directly into the book house, or drop them off between 9 AM and Noon on Sundays in the parish hall, just to the left and behind the sanctuary.